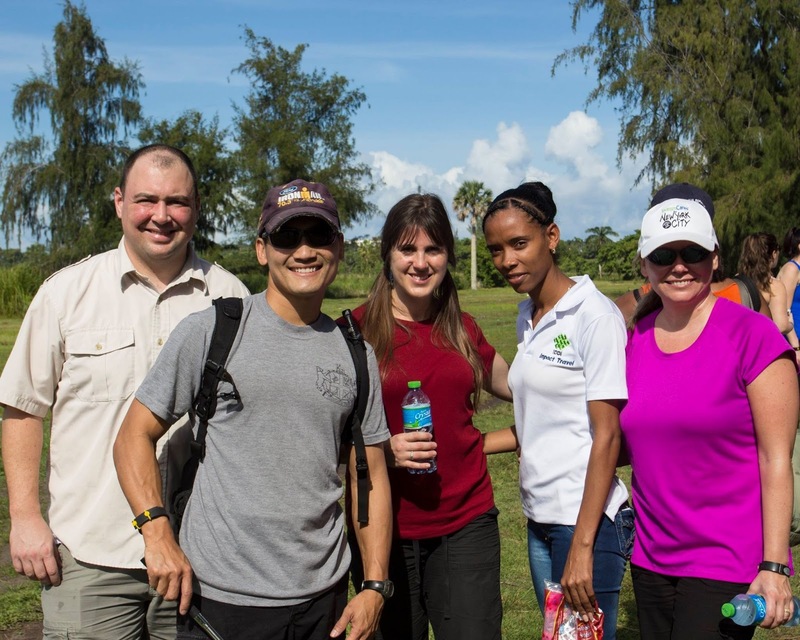 Under the shade of a rippling tarp, Dominican Republic partners and Office of Environment officials talked about mangrove reforestation, explaining the work we would do. I wiped sweat off my cheeks and glanced over at Mary. Twelve days earlier she had called me, conspiratorial laughter in her voice. "How would you like to fly with me to the Dominican Republic for a few days?" she asked. "And is your passport current?" As a travel agent, Mary had been invited to see and give feedback on the land portion of a brand new kind of travel by Fathom Impact Travel, a subsidiary of Carnival Cruise lines. 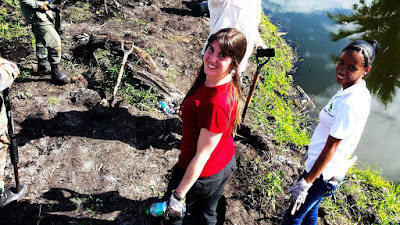 Paying for her (and a qualifying friend) to fly to the DR, Fathom wanted her to experience four impact projects: reforestation, water purification, conversational English, and cement-floor-laying, all working alongside Dominican partner organizations. Because I lead frequent humanitarian/missions trips, Mary knew I would qualify for the experience too. Asking a few questions, I heard my excitement bubbling and spilling over. "Yes! When?" 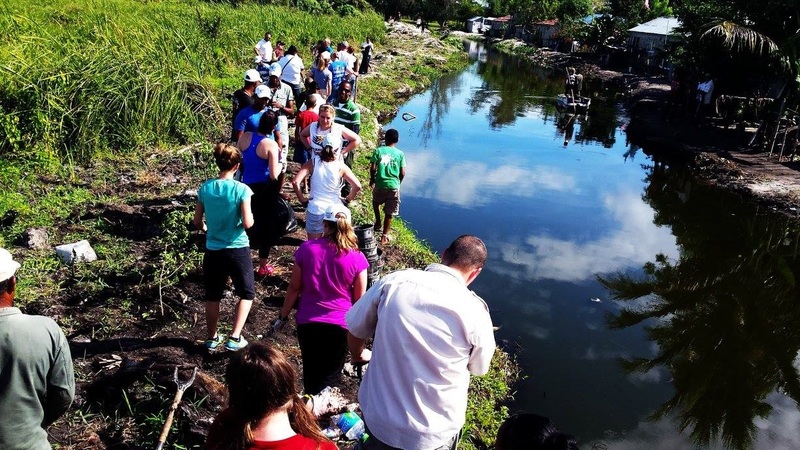 Twelve days later, we were standing in muddy sneakers in a mangrove national forest, learning how deep to plant new mangrove trees and guzzling water under a gorgeous blue sky. After reforestation, we met friends in conversational English. The next day we worked hard making ceramic and liquid silver clay water filters, and by Friday, we were here, walking alongside Laoris as a slight breeze blew. "I'm proud to show you my community," she said. 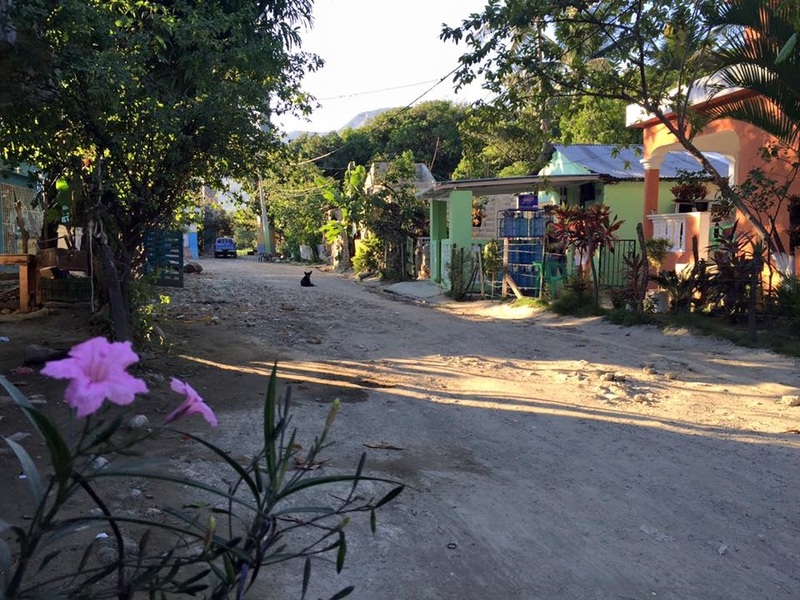 Laoris smiled at us and guided us down winding dirt roads beside vivid green, pink, and blue painted homes. Crimson flowers blazed from behind metal gates and along narrow landscaped borders. I stumbled on a stone in the path and on her name, somehow adding a "t." Laoris was gracious, patient, correcting my Spanish with a trilling rolled "r."
Arriving at a green cement block home with corrogated metal zinc roofs, we were introduced to Francesca, a petite great-grandmother and her daughter Marianne. Partnering with Dominican NGO Entraina, our team of Americans, Brits, Peruvians, Canadians, and Dominicans worked alongside local cement layers to pour out Francesca's first-ever cement floor. "When it rains, the dirt floors flood and become soggy, creating health hazards," Entraina and Fathom staff explained. "We work with community partners to see who can most benefit from these floors," adding that they hire local masons and professionals who supervise and guide the Impact volunteers' efforts as cement mixers, bucket-carriers, etc. Dominican experts leveled cement, taught us the recipe proportions for mixing sand, cement powder, and water, and troweled what we brought them. Lining up assembly-style, I took my place with my teammates. Straddling an inner doorway and wiggling my sneakers into the grey gravel, busted concrete, and sand for stability, I reached out for a slippery bucket of wet cement. We crouched with straight backs and bent knees to safely transport the heavy buckets and our talk swirled in Spanish and English as we passed pails, turned faces to the new friends on both sides, and sailed across cultural divides. "This is from my great-granddaughter," Francesca said, pointing to a paper drawing of a poem nailed to the wall behind us. Words about a mama's love and her full-hearted acts of family service curled up a page and shimmied around a red-marker heart. I paused to read the words, understanding some, and getting soft-spoken interpretations from Laoris at times beside me. Francesca grinned widely, a toothy grin dimpling up both sides of her face, silver hair pulled back into a ponytail. "This is my son, Jose," she said, pointing to a man who had just walked in. He reached out for a bucket of cement, heaving it up and over to the room's floor behind him. "It's his daughter," Francesca explained, and Jose pulled out his phone, scrolling to a photograph of his daughter. Over and over on this four day trip, this is where we found ourselves... pulling open our hearts, sharing about loved ones, and diving into deep conversations about life, family, communities, and intentional impact-full living. Over rice and beans seasoned Creole-style, or on jostling buses through coffee plantations, across language books in laps inside neatly-swept dirt yards overlooking mountain sea-scapes, and on wifi hotel lobby steps, we leaned over and opened wide our lives. Dominicans', Canadians', Brits', Peruvians', and Americans' faces swim in my mind now, their names and stories apart of me. I smile in thinking of them, and have left parts of me as well through the time and conversations we had. What a great impact and memory you've made and been a part of! That's awesome. It's so amazing how much we get when we're willing to give. The more sacrifice the more love. Excellent, sister. Thanks for the reminder. What an amazing experience you had, Jennifer. Wonderful memories and bonds built indeed. Also love the thought of others writing poetry in different countries and languages than ours. Sometimes my thinking is small! When?? How exciting! And what a hoot - dirt floors that get muddy, but a cell phone? That's a study in contrasts for sure.